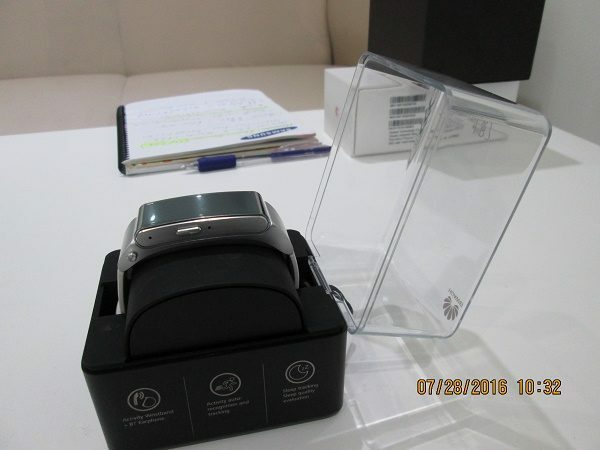 My visit to the Huawei Experience Store located at Shop No. 10 in Tropical Plaza Half-Way-Tree just keeps getting better and better. 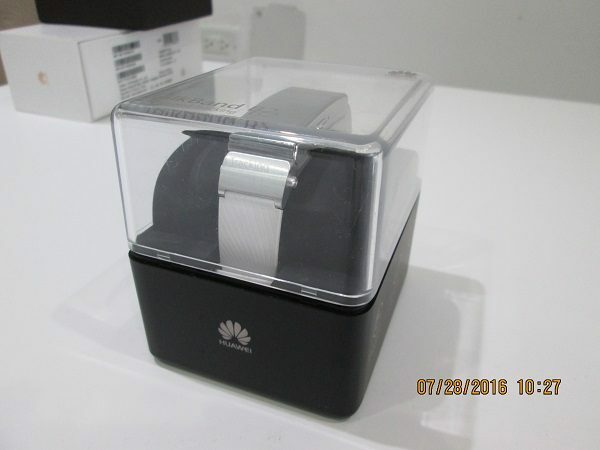 Imagine, not only does Huawei have unlocked smartphones but they also sell smartwatches like the Android Wear powered Huawei Watch as parlayed in Huawei Watch is an Android Wear Wristwatch with a Touch of Sapphire. As I’d pointed out in that article, I’d done a photo shoot with a second device, the Huawei TalkBand B2. 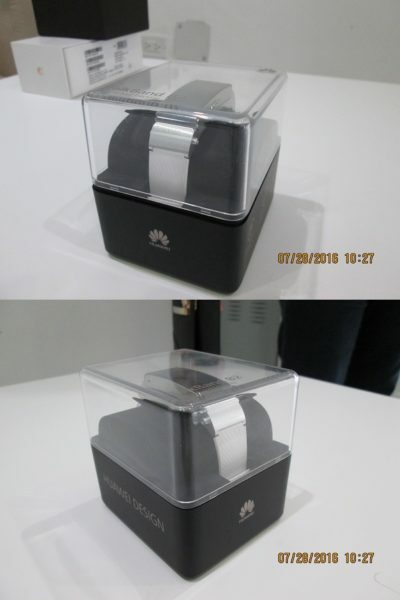 The two products are as different as night and day; the Huawei Watch is for the Red Carpet whereas the Huawei TalkBand B2 is for the Fitness freaks and their Exercise Rats. More specifically, the gym rats that think hitting the gym at 4am in the morning in their sweat bottoms, t-shirts and Yoga pants is the way to start the day before they head into the Corporate Jungle. 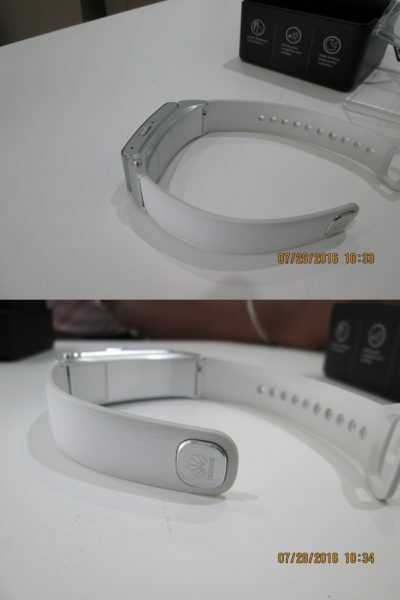 So how does Huawei TalkBand B2 from the place where Earth meets Sky connect the Corporate world to the Gym? For one, this isn’t your regular Fitness Tracker; it doubles as a Bluetooth Headset, a fact I discovered when I got the chance to play with it in the Huawei VIP room. 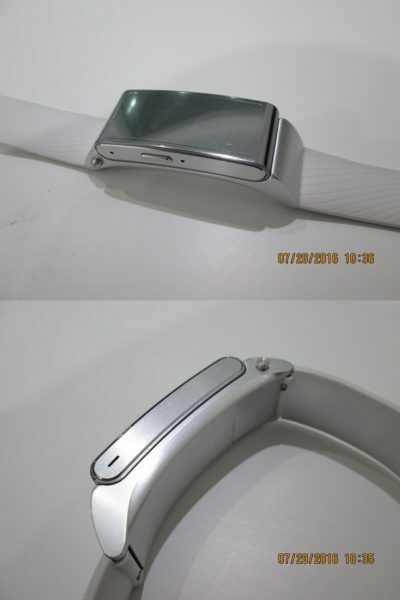 This model is made of brushed silver, albeit there are leather straps and a gold-plated option for the Huawei TalkBand B2. 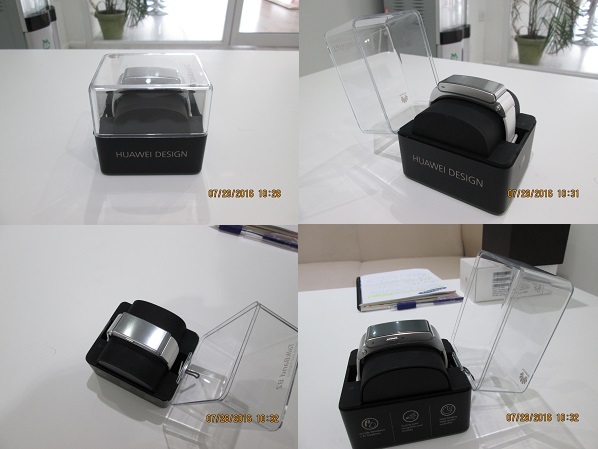 First, take in this Huawei TalkBand B2 from Huawei Mobile Italia, possibly one of the best commercials for this product! When I unboxed the fitness tracker from its transparent plastic casing, I was greeted by a microUSB charger packaged with a safety booklet, rare for today’s gadget that expects you to go to their online FAQ page. 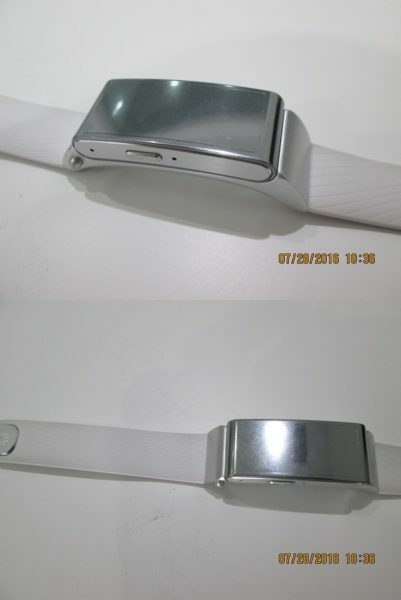 The wearable device is rather bulky for a fitness tracker. 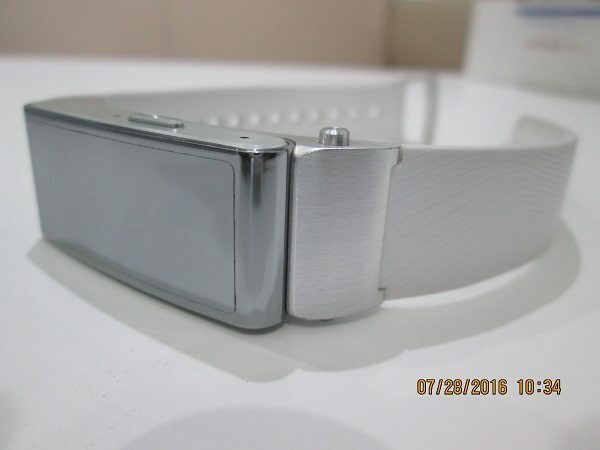 On either side of the band are two small buttons, which detach the entire tracker from the strap. 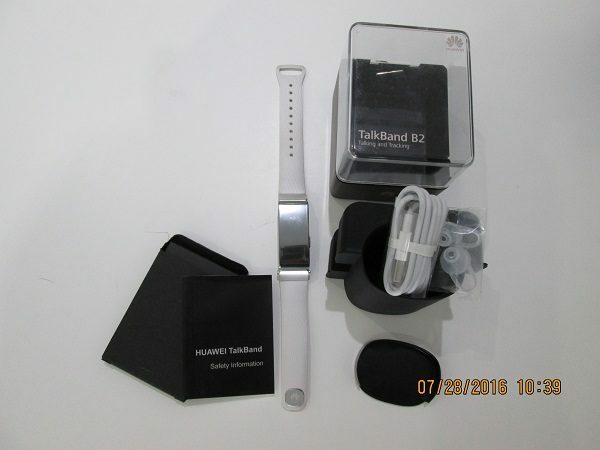 Thus the Huawei TalkBand B2 can function as a wireless Bluetooth headset and easily pairs with both Apple and Android smartphones. It’s rated at IP57, which means it offers resistance from harmful dust and immersion in water of up to 1 meter (3.2 feet) for up to 30 minutes. It has three different size ear plugs to ensure a perfect fit no matter how sweaty your ears get when you work out. Make sure to pair it with your smartphone beforehand, as it’s not a phone, just a very fancy Bluetooth headset. Oddly, there is no heart-rate sensor or Smartphone notification system like the Huawei Watch; it’s just a fancy calorie and step counter with Bluetooth calling features. Thankfully, you can get the Jawbone Up app and synchronize the Huawei TalkBand B2, allowing you to get coaching tips from Jawbone’s Smart coaching insight to keep you on track for your health and fitness goals. Those fitness freaks in the corporate world will love the Vibration Alarm. This as it’ll remind them that they need to get some pep in their step, roll up their yoga mat into the boot of the car and head out to the gym. For those of us who work hard and play hard, especially between the sheets, the Sleep tracker tracks all nocturnal activity….if you know what I mean. How many calories you’re burned can give you an idea of how well you stand out above the herd in the corporate jungle. Twist your wrist and just like the Apple Watch, the Huawei TalkBand B2 awakens, revealing the Bluetooth status, a Battery Icon and the time and Date. When it’s in Bluetooth headset mode, it’ll vibrate and show you the name and number of person calling you on your smartphone. Definately not answering any unknown number, Busy Signal Style! 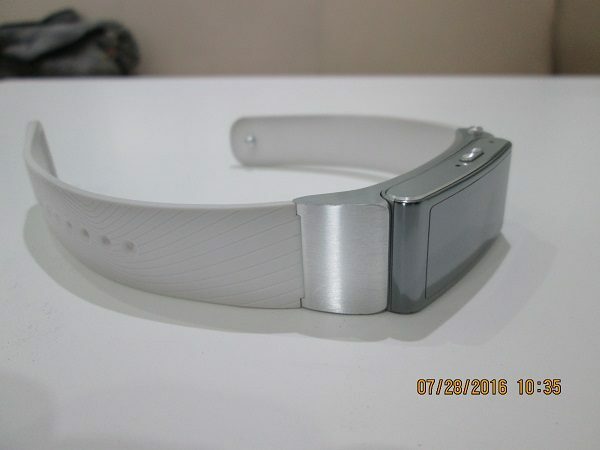 The TalkBand B2 will last three and a half days with minimal calls. Unlike the Huawei Watch, there is no proprietary Magnetic charger as the TalkBand B2 can be recharged using a standard microUSB plug. When you reach the stopwatch, you can hold the side button to reveal a Bluetooth pairing mode submenu. You can then use this to activate a “find my phone” feature to help you locate your missing smartphone in a room as long are you’re within 30 meters. This “find my phone” feature also allows you to remotely take pictures, presenting some interesting possibilities when it comes to remotely spying on you enemies in at the Press Event! So, does the Huawei TalkBand B2 sound like the perfect motivational companion for you to Work hard and play Hard in the gym? Then join their Huawei Jamaica Facebook Page and check out the Huawei Experience Store as the Huawei Watch awaits you to make loving Huawei Smartphones Possible. I have a huawei phone and other gadgets so I never felt the need to visit the huawei store until now. Good article, although I would suggest proofreading before publishing. There are some typos and other errors, but an enjoyable read nonetheless.